*Conventions in 1867, 1894, and 1938 proposed multiple amendments. 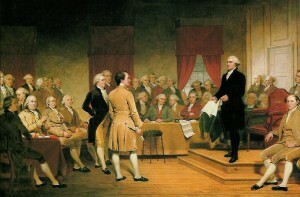 The ratification results are only for the constitutional convention’s primary omnibus recommendation. For example, in 1867 voters rejected a new constitution but ratified an amendment to the previous constitution. In 1938, voters ratified six of nine proposed amendments, including an omnibus amendment composed of many non-controversial changes. Source: New York Department of State, Votes Cast For and Against Proposed Constitutional Conventions and Also Proposed Constitutional Amendments.